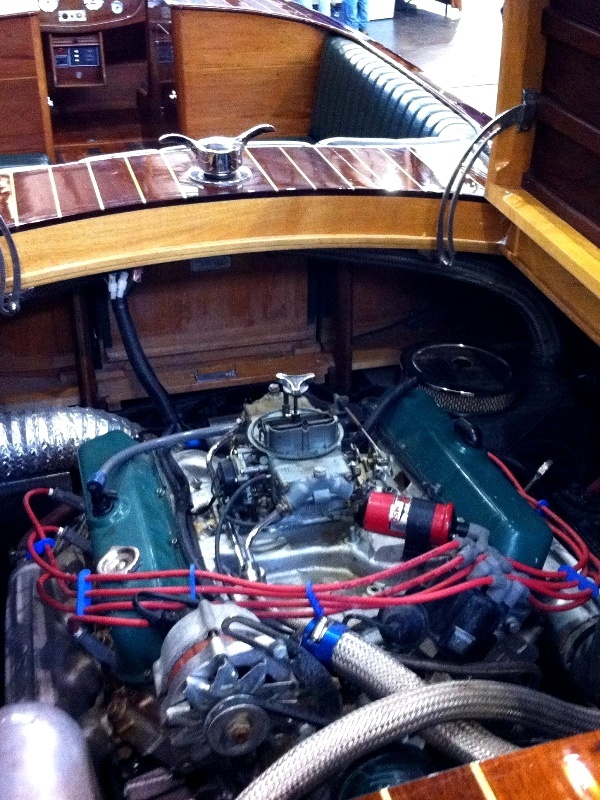 She’s 23 feet long, has a body to die for, and is powered by a 545 big block Caddy engine. If that doesn’t get your attention you’re reading the wrong blog (we suggest this one if that’s the case). 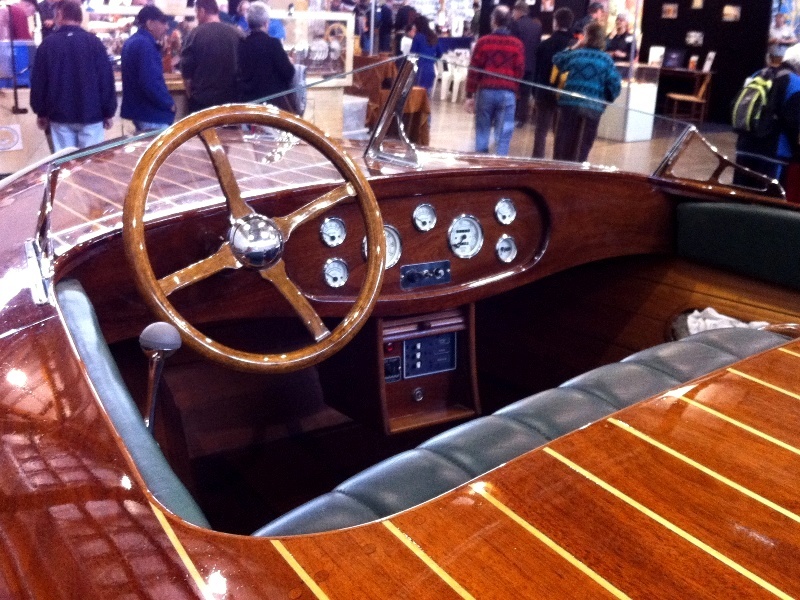 I spied this stunner at the Working With Wood Show which was held at Homebush on the weekend (same spot as Motorex, one week later, very different crowd). 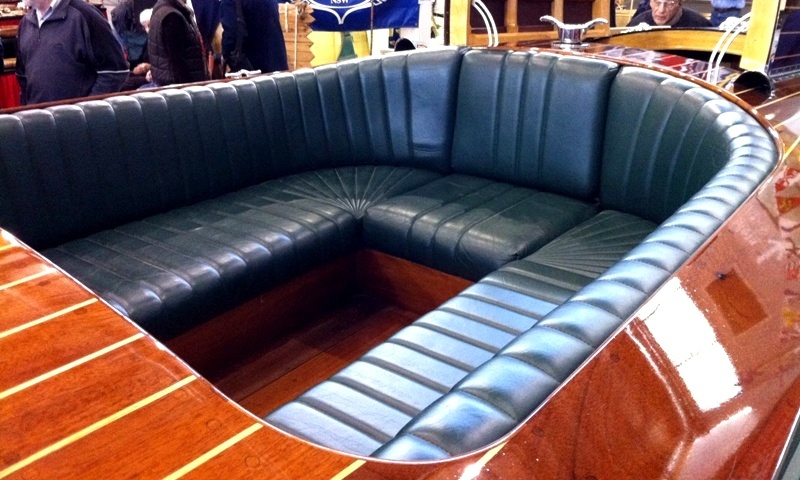 It’s a replica of a 1930’s boat originally manufactured by Hacker-Craft. 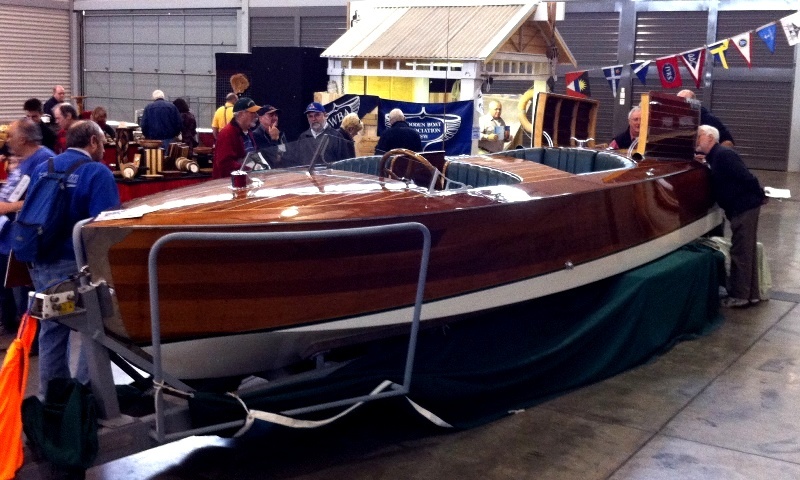 Calling it a replica is really selling the boat short though. You call something like a fibreglass Porsche 356 body flopped onto a beetle chassis a replica. 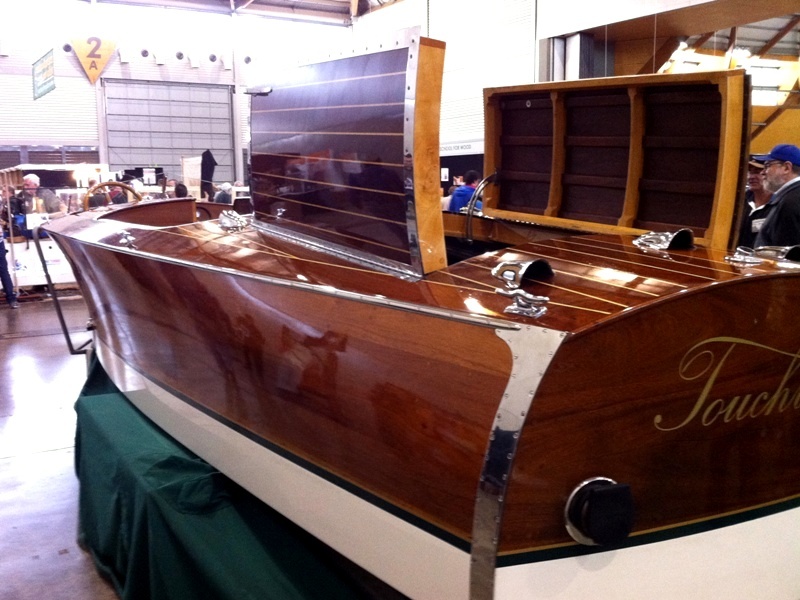 This boat was handbuilt by someone with very, very good skills. Originally constructed in the mid 80s, its recently undergone a full resto and is apparently featured in the new Great Gatsby film. What I would give to take this out onto the water and open up that big block to full noise!